Rome, otherwise known as Roma by locals, is the capital and the largest city of Italy. The beautiful city is steep in history, literature and culture of over two and a half thousand years. It is the birth place of the Roman Empire and was formerly known as Europe’s powerhouse. It is the most populous city in Italy with over 2.7 million people. As a result of its richness in history, there are several museums and monuments in the city that tells every chapter of the history. Rome is considered the third most visited tourist place in the world. The official language of Rome was formerly Roman but it later became Italian. The great city of Rome is also proclaimed as a World Heritage Site by UNESCO. Located in the Lazio region close to the banks of river “Tiber”, Rome covers a total area of over 1200 km2. The city has a Mediterranean climate and the weather is more friendly beginning from April to September. The weather in the month of October is warm and this period is considered the beautiful days by the Romans. The major religion in Rome is understandably Roman Catholic. Rome is home to several parks and gardens that gave it such beautiful looks currently. These parks are beautifully structured with benches where people can sit and relax. Asides the parks and gardens, there are also loads of musical shows and cinemas where one can experience fun at its best. The most preferred food among the Romans is the Pizzas and Pastas. There are a wide variety of Pizzas and Pastas in all of the restaurants in the ancient city. Romans love dressing fashionably, and for this reason, Rome is a place to find several prestigious, world famous fashion industries such as Armani, Dolce and Gabbana, and Versace. It is considered as one of the world’s fashion capital. Rome has two major international airport which are Fiumicino International Airport, the biggest, modern and efficient airport with easy access to the city center and the Ciampino international airport, Rome’s low-cost airline with close proximity to lovely attractions including St. Peters, Castel Sant’Angelo, the Olympic Stadium, and the Colosseum. Consider this when searching for cheap airline tickets to Rome. Rome attracts tourist in large numbers from all over the world, especially Christian pilgrims. Rome is also the perfect destination `to find some of the world’s best pieces of artworks, magnificent monuments and ancient temples. Irrespective of the places visitors intend visiting, they will most definitely find a piece of history together with a wide range of modern activities that will make their vacation more exciting and fun. 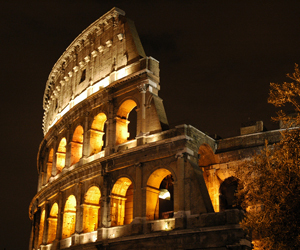 Rome offers loads of fun filled activities that can’t be compared to any other tourist destination in the world. It is a place of fun for all ages. The city is known to have a vibrant nightlife scene and is considered a haven for enthusiasts’ of shopping. It is believed that the western civilization started off in Rome and it is also home to some of the world’s greatest artist including Botticelli, Perugino, Michelangelo, Bramante and Raphael. The cheapest international flights to Rome are on Mobissimo, the free travel search engine. In addition to cheap international flights to Rome, we help you find the best rates to both major and boutique hotels in Rome. Consider flexible travel dates when looking for the best fares to Rome, off-season travel or off-peak hours, or mid-week flights are all good options to lower your airline ticket fares. Consider also flying to other international airports in Italy : Alghero, Ancona, Brindisi, Bergamo, Bologna, Bari, Bolzano, Cagliari, Crotone, Catania, Elba Island, Florence(IT), Foggia, Forli, Genoa, Lampedusa, Milan, Naples(IT), Olbia, Perugia, Parma, Palermo, Pantelleria, Pisa, Pescara, Reggio Calabria, Rimini, Lamezia Terme, Taranto, Trapani, Turin, Trieste, Treviso, Tortoli, Venice, Verona. Mobissimo is also available on Facebook , Twitter, and other social networks, and our blog post fantastic flights deals to Rome daily.